Growing Earth Tree Care is one of the few local tree service companies that have been Accredited by the Tree Care Industry Association. We are also a member in good standing with the Washington Area Better Business Bureau and are recommended by the members of Angie’s List for our reliable tree maintenance services. 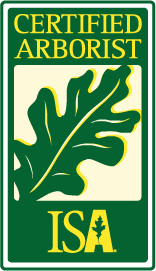 Growing Earth Tree Care Belongs To The Certified Arborist Association. Our tree care company was founded in 1976 by former Fairfax County Arborist Benjamin L. White. The company has historically specialized in tree preservation for both commercial and residential clients. Growing Earth has won numerous awards for tree preservation and conservation and is a family-owned business. The current owners have owned the business since 1992 and are former employees. Approximately 60% of all employees are certified by the International Society of Arboriculture, one of the highest ratios in the tree maintenance industry. As a full-service tree care company, we provide disease and pest diagnosis and control, tree fertilization, tree preservation, tree pruning, cabling and bracing, tree growth regulators treatments, tree removal and stump grinding, and more! Our clients include HOA’s, property managers, commercial properties, and individual property owners. Growing Earth Tree Care is a BBB Accredited Business. James and Paul Martin both served as president of the Mid-Atlantic Chapter of the International Society of Arboriculture (MAC-ISA) and both served as chairmen of the Tree Climbing Competition. Jim is an active instructor of First Aid with the American Red Cross and is a certified proctor for the Tree Worker Certification test. Jim is an I.S.A. Certified Arborist, Maryland licensed Tree Expert, Certified Pest Control Applicator and Certified Tree Worker. Paul is an I.S.A. Certified Arborist and has served on the executive board of directors of MAC-ISA for over 14 years. Jim & Paul co-wrote the “Tree Doc” column for the Journal Newspapers. Additionally, Growing Earth Tree Care is accredited for writing the book “Trees, Landscapes and You”. Contact us for more information about our tree care services.